POSCO participated in its fourth Steel & Metal Korea 2016 (SMK 2016) held at the Ilsan KINTEX from September 27th to 30th. During the event, the company introduced its superior World Premium (WP) products to other participants and visitors. SMK has been held biennially since 2010 and is an exhibition that highlights steel and nonferrous metals. The event receives great attention globally for its focus on metal materials but also on other technological aspects, including tubing, piping, metallurgy technology, equipment, and the metal business. By participating in SMK for four consecutive years, POSCO has experienced the accompanied growth of small business participants through close interaction. Through exhibiting the high technical skills it maintains as the leading domestic steel company, POSCO has also contributed to the growth of small businesses. 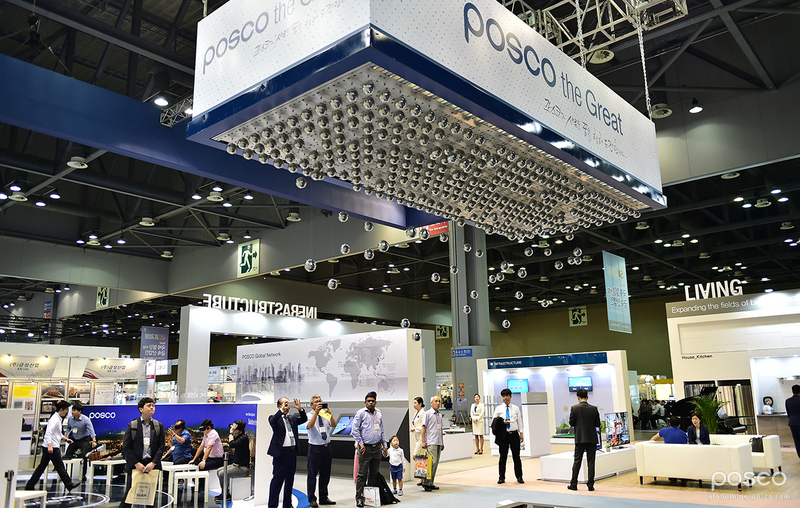 For this year, POSCO set up a booth at the convention with four different zones, all under the concept of attracting visitors. The booth introduced how WP products can be used in daily life through differentiated exhibitions. Visitors could experience how WP products could be used in different industries through the divided zones: “Automotive”, which revealed how WP products could be applied to an automobile’s interior and exterior, “Living”, which showed customers how to get acquainted with WP products for daily home use along with “Infra” (infrastructure), which is meant to increase and encourage customer partnerships. 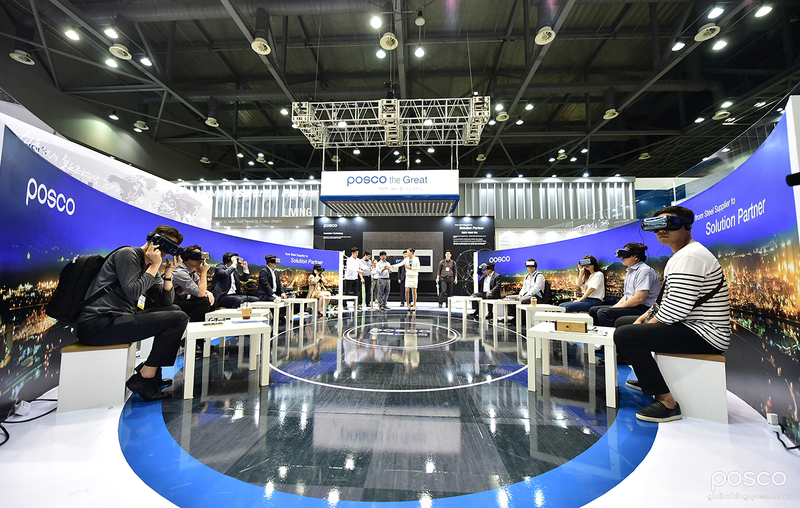 The last and most popular area was the “Hero” zone, which allowed visitors to experience a 360-degree view of the complete steel production process through VR. The footage showed everything from loading and unloading raw materials, to shipping the products. Since the Automotive zone displayed cars made from POSCO steel sheets, it was possible for consumers to see the technology applied to both the interiors and exteriors of the cars. Models that were displayed included the POSCO Body Concept-Electric Vehicle (PBC-EV), Renault’s Chassis and SM6 BIW (Body in White), as well as examples from MG. All models were manufactured with high-strength body and chassis parts from POSCO. The company brought car body parts to the exhibition, and incorporated them to show which areas of the automobiles used their special steel sheets. The exhibition also drew the highest attention because of an inclined display, which showed how the inner dynamics of the car would appear as if it were driving on a hill. The Living zone had a setting modeled after a real home, introducing WP products for daily life usage. Visitors could see the premium home appliances and household products made from POSCO steel in each room of the house, including the living room, utility room, study room and kitchen. Widely used POSCO WP products were displayed in each room: a washer and an air conditioner in the utility room, a refrigerator, sink, and cooking tools in the kitchen, a computer and a printer in the study room and a TV in the living room. 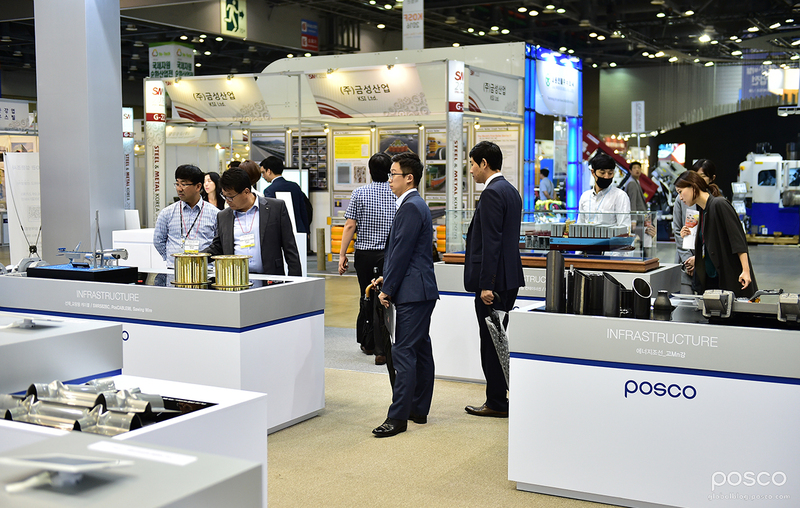 The Infra zone helped visitors have a better understanding of the principles behind making stronger and safer construction sites, LGN carriers and suspension bridges with POSCO’s structural steel products, such as PosCozy, PosMAC and UL700. Visitors could touch the products, including high manganese, high damping steel and cable bridges that prevent noise between floors. 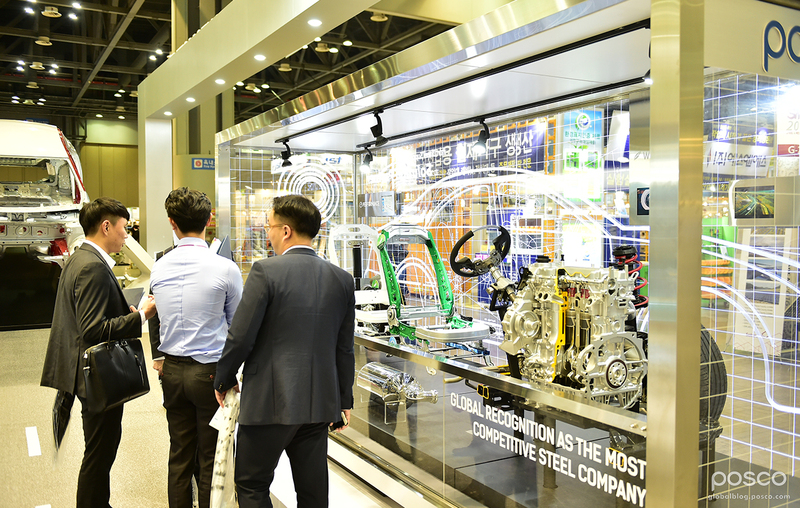 The exhibition also compared POSCO’s steel products to products made from average steel, to help visitors experience the true quality of the company’s premium steel. Lastly, the Hero zone was highlighted as the most future-oriented space at SMK 2016. The VR component provided a realistic and exciting video tour of the production process at the steelworks – a 360-degree video and immersive sound experience made viewers feel as if they were actually standing in the center of the steelworks. Besides the featured products in the Hero zone, visitors could also enjoy the kinetic art performance that took place every 30 minutes in the center of the exhibition space. This performance utilized POSCO’s stainless steel in the form of wires, showcasing a fluid steel movement show with a background of beautiful music. POSCO displayed yet another substantial and high-quality exhibition at SMK 2016, and we are already looking forward to seeing what the company has in store for the next time around.